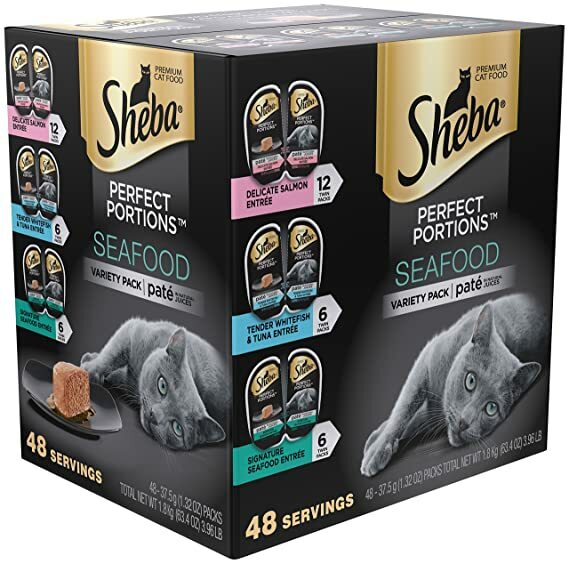 Best Wet Cat Foods for Older Cats Reviews: Top-5 in April 2019! Over time our cats start to get a little older. It’s unfortunate, but it’s something that we all have to understand at one point in time or another. What it means, however, is that we need new ways of taking care of our cats. Older cats actually have different needs and they definitely need different food. As a responsible pet parent (and a cat lover) you want to take great care of your cats and that means understanding what their needs are. 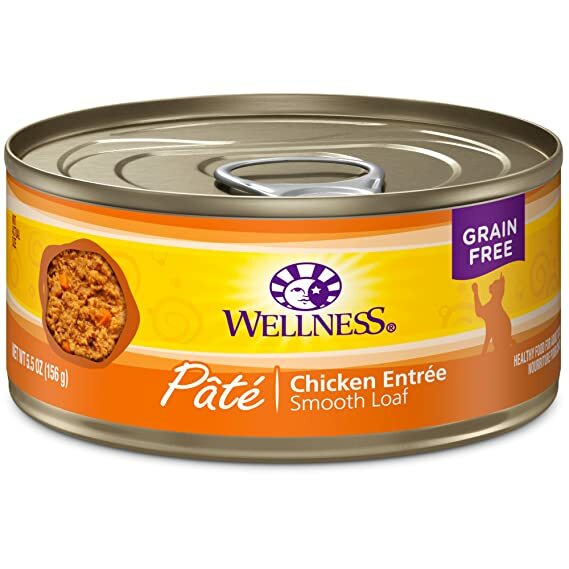 This wet cat food is available in a chicken flavor and a pate blend that’s smooth and soft for even your older cats. 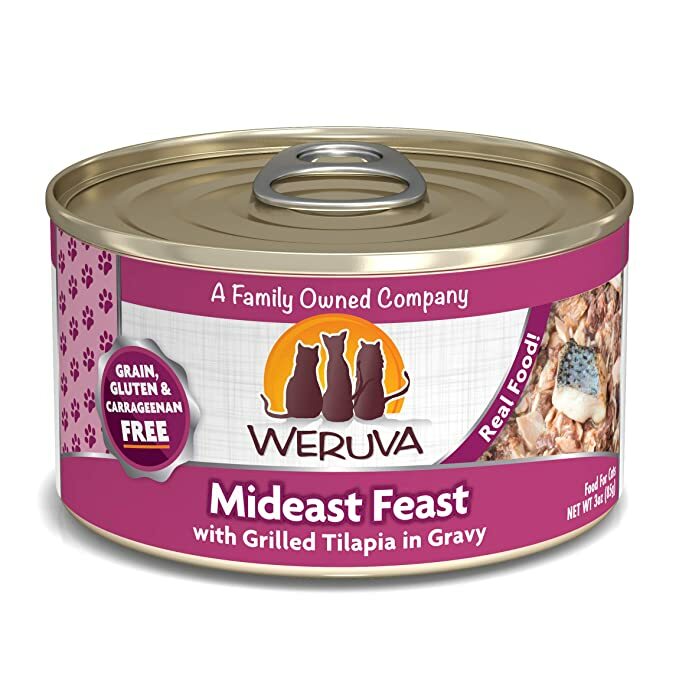 If you’re looking for healthier alternatives that aren’t going to result in your cat getting a lot of fillers this is a great option because it actually doesn’t include any grain or carrageenan. Instead, it’s made with plenty of healthy and all-natural ingredients. You’re going to have a whole bunch of great ingredients here because it has absolutely no grain, no carrageenan and no meat by products. You also don’t have to worry about artificial flavoring, colors or preservatives. These things are definitely not what you want for your cat and they have no business being in their food. You are going to get a whole lot of great ingredients that are all natural. Not only that but they contain plenty of vitamins and minerals that your cat needs. As they get older these vitamins and minerals become even more important. If you have an older cat you already know that it can be difficult for them to eat hard pieces of dry food. It can also be difficult for them to eat even some wet foods because of the consistency. With this pate you don’t have to worry about that because it’s already soft and smooth for them to chew and for them to digest more easily. Because of the quality of the food digestion takes place better which keeps your cats from getting sick and also helps them with eliminating waste. Here they’ll get fruits and vegetables that help them get even more of the nutrients they want. What Temperature Should I Store This At? If you’re looking to help your cat’s digestion you definitely want to put this food on a counter and keep it at room temperature. If you have some left from a can put it in the fridge but make sure to warm it up before you give it to your cat again. Is There A Gravy In This Food? There’s not really a gravy included. This is a pate food that’s actually all one consistency that doesn’t include chunks or added gravy and liquids. For cats that need the vitamins and minerals that only the highest quality food can provide this is a great way to do it. It includes real meat and no meat by-products as well. With this brand you’re going to have plenty of flavor options that you can choose from. Each of them is actually a blend of some great flavors as well, with some like Mideast Feast, Green Eggs & Chicken and Asian Fusion. Each one provides you with high quality ingredients that your cat is really going to love. What are you actually getting in this food? Well, for one thing you’re getting some high-quality ingredients, like real pieces of fish and high levels of vitamins and minerals and even antioxidants. You’re getting sustainably sourced ingredients that are produced in human grade food facilities as well. What you’re not getting are MSG’s, GMO’s and gluten or grain. You’re not getting any kind of artificial colors or preservatives either. All of this means that the food your cat is going to be eating is much healthier and safer for them. It’s something you can feel comfortable giving them. The brand you get here is actually family owned and operated, which means that you’re getting something that’s more local rather than a large company or business. You’re getting a product that’s been in the same family for a very long time and that maintains the highest level of quality as a result. Everything you get from this company is made by the same group of people and you’re sure to get consistency as well. There’s no reason you need to worry about whether the next batch is going to be the same as the one before it. An unopened can of food will last up to 2 years. That means you can easily buy in bulk and not have to worry about using up the entire case before it goes bad (it will be gone long before that). What Type of Consistency Do You Get With This Food? In general, the consistency is somewhat thick with actual pieces of shredded meat or pieces of fish mixed into a type of sauce. This is still soft enough for older cats but also more texture. 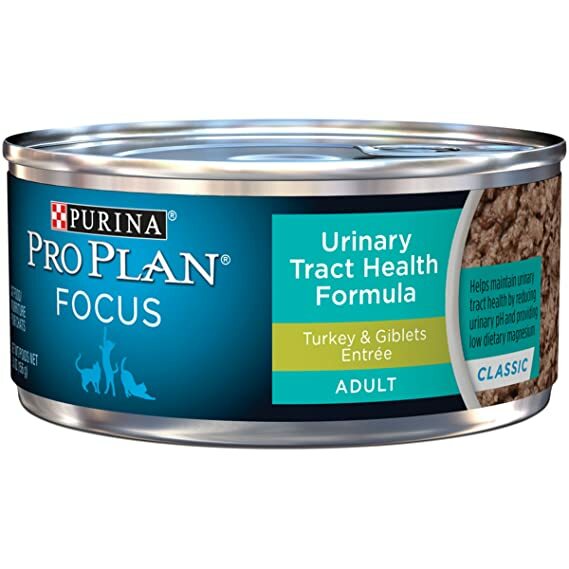 This is a good quality food for those who have older cats or who have cats that tend to be pickier when it comes to their food. It has actual pieces in it instead of a thin spread or pate. If your older cat is having a few more problems then just getting older this is a great option. It’s actually made to taste great for older cats and it’s also meant to help with urinary tract problems. You get several different flavor options that will help your cat enjoy the food and you’re going to get some other benefits to go along with it. Overall, the best benefit you’re getting is the help with the urinary tract for your cat. As your cat gets older their risk of a number of different health conditions gets higher and that means working to maintain everything you can for their health. The urinary tract is one of those important areas of the body to watch. This food helps to lower the urinary Ph and also helps to get the right amount of dietary magnesium. Together, these two things are going to help the urinary tract stay healthy and are going to help your cat to stay healthy as well. Plus, this food will help the immune system on top of that. In general, you’re getting a high-quality food that your cat is going to like eating. It’s made by a company that’s well known for many cat and dog food products. It’s also made to a high standard and is one of their higher quality level foods. On top of that it’s great for older and even younger adult cats. With this food you can choose between several different flavors to find something that your cats are going to love. They can get things like turkey and giblets ocean whitefish, salmon and a whole lot more. Each one is great for different health reasons. Can I Use This To Prevent Urinary Tract Infections? You absolutely can use it to prevent problems. It’s a great option for those who want to keep their cats protected from potential problems. How Often Should I Feed This To My Cat? For the best results you should be using this food exclusively and feeding it to your cat every day. Though you can intersperse it with some dry food if your cat likes it. This is a great quality food that’s made by a great company. It’s definitely well known and there are plenty of reasons that you would want it for your cat. This food is actually portioned out so you can easily serve a dish to your cat without having to divide it out. You’ll get a pack that’s actually filled with several different flavor options so that your cat can try out something new and really get a treat by mixing things up. Plus, you don’t have to worry about them getting bored with one flavor. With this food you’re getting several different flavors that include salmon, whitefish and tuna. Altogether these flavors appeal to most cats and since you get separate flavor options in different containers, they’re actually getting some variety. This can keep them more interested in eating more of their food, especially if you have a picky eater. Each of these foods gives you plenty of additional benefits, like all of the protein, vitamins and minerals that you’re getting. You don’t have to worry about feeding it to a younger cat or an older one because it’s actually made for both kittens and adult cats to enjoy. You’re getting a whole lot of great features to this food. In fact, you’re getting absolutely no corn, soy or wheat, which means your cat is getting more of the flavor and the benefits that they actually need instead of a lot of fillers. They’re also getting the vitamins and minerals that go along with all that fish. One of the big benefits of this food too is that it’s all single serve. That means you just open up one of the packets and your cat will be ready to eat. They don’t need to do anything and you don’t need to worry about portioning out the food. Where Is This Cat Food Made? This food is actually made right in the United States. Sheba has their own factories and facilities that produce the food without having to leave the country. Is There Added Color In The Food? There are generally colors added to the food to help each batch look uniform and to make sure that everything is the same from one to the next. You get some really convenient food options right here because you don’t need to worry about how you’re going to feed it to your cat. Instead, you just open the container and you’re ready to go. This food is actually designed for small kittens, but it can be used for adult cats as well. For older cats it can provide more of the vitamins and minerals that they need as well as being softer than some food for adult cats. As a result, you’re getting more benefits and features to help your older cat feel better and live a longer life. What you’re getting here is actually a kitten food, which is why it’s so high in vitamins and minerals. Kittens generally need even more healthy ingredients than adult cats but as your cat starts to become a senior, they may need a little bit more again. This food has everything that they should need. You’ll get a lot of protein, fat and carbs in just the right balance, but you’re also going to get antioxidants that help to improve the immune system and natural health. On top of that there are macro nutrients that will have your kitten or older cat get even stronger. This cat food is designed to be super soft and easy to chew because it’s made for smaller kittens. If your older cat is having some trouble chewing or they’re having some trouble with larger or harder pieces of food this is going to be a great way to help them along. You can use this food with other dry food to get the added health benefits or you can use it all on its own as the only food you feed your cats. Either way it’s going to help them start getting healthier and stay on a good diet. You’re not going to have a gravy with this food because it’s actually a type of pate. That means that it’s smooth and has a standard consistency without chunks or gravy. 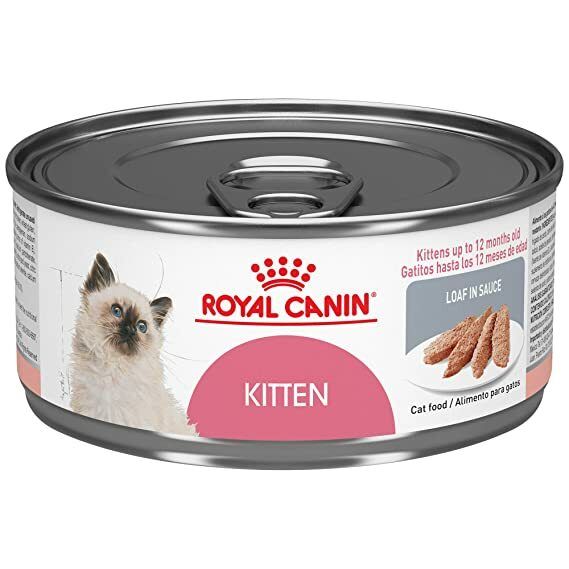 No matter what you’re feeding your cat you want to look at this one because even as a kitten food it could be just what your senior cat needs. When is the last time you really thought about what you’re feeding your cat? If it’s been several years then you probably should take a closer look again, so you know what they really need and what they’re really getting. With older cats especially, this can be extremely important, so make sure you take a look at the options and see what your cat can really use.